Life is full of surprises. 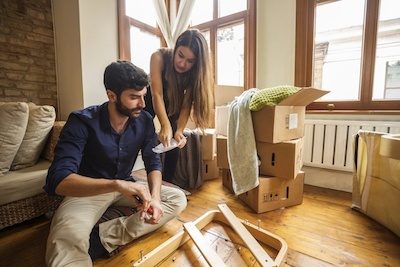 Keep these tips handy and you'll be ready to handle a quick move like a pro. Remain calm. You may be in a state of shock, but you don't have the luxury of contemplating the hows and whys. Summon your inner strength. You actually may be more prepared than you realize. Perform triage. Determine what needs to be done now and what can be done as you settle in. Sit down with a calendar and create a schedule to keep yourself on track. Don't wait to start packing. This is the biggest part of a move, and you'll need every minute you can get. Have a supply of Sharpies on hand and label the boxes so you can reference them at a glance. Decide who will handle the actual move. Whether you enlist family and friends or hire a moving company, you'll need to provide them with notice immediately. Inform the rest of the world. Submit a change of address to the post office and give the information to your banks and credit card companies. Set up the furniture and items you'll need immediately. Your list can be as short as "my bed" or it might include the TV, computer and coffee maker. Create an inventory of your belongings. You’ll know what your immediate needs are, and avoid any sudden unwanted expenses in the future. If necessary, apply for a new driver’s license and register your car. Don't forget to let distant family and friends know your new address. Explore your new area. This will be the fun part. Take trips by foot and by car to get a well-rounded view from all perspectives. With our online leasing process, Springs Apartments makes it easy for you to select an apartment, submit your application and sign a new lease from wherever you are. Plus, our on-site management team is a great source of information about your new home and surroundings. We want you to feel comfortable right away, so stop in or call whenever we can be of any assistance.